Who wouldn’t enjoy going out on an amusing venture for Pokémon’s virtually? Wouldn’t racing around on the latest GBA games be fun? Every one of you who game would’ve been annoyed by the compatibility issues between the interfaces of the game and your PC at least once. For gamers like you, GBA Game emulators are lifesavers. You can play a lot of the older video game platforms on your own PC using the right emulators — and the funny thing is that a lot of these games actually run better through emulation than on their native hardware because our modern computers are so fast. For example, with a strong enough computer, you can actually play some games at better resolutions than those that were previously available. Even mobile phones can be enabled to emulate video game consoles for a more controlled experience. Or conversely, emulate a mobile phone on your computer. We’ve listed out few of the cool GBA game emulators that work for Mac users and let them explore every GBA games on your PC as well as on any iOS device they might wish to emulate. Are you a fan of retro games? OpenEmu is the right choice of emulation for you. All your classic games of yesteryear consoles and handhelds – from the NES to the Genesis, from the Gameboy to the DS – are supported, so if you’re in search of an emulator and own a Mac (or any iOS device for that matter), you need to get your hands on this one. It’s free and supports multiple games on the single software. Also, the file size is compact (41 MB to be precise). Basically, OpenEmu is a long-awaited Mac exclusive that combines emulation for a dozen systems into a single, smooth program. It has a very user-friendly frontend. For instance, you can just add a ROM and the cover art is automatically added. The art makes browsing for a specific game quick, and starting a game is simple: just double-click the cover you want to play. Rather than re-inventing the wheel, it has been developed from different already-existing open source programs to emulate the games. These are called Cores, and it’s possible to switch between them if a certain game isn’t running well. OpenEmu can scan your Mac’s hard drive the first time it’s opened and automatically adds any ROMs you’ve already downloaded off the web. Most emulated games don’t look good on the emulated device. This is maybe due to resolution or screen sizes. OpenEmu gets over this disadvantage as well by providing filters that can alter the look of the game. If you’re wondering if your game would run on this emulator, OpenEmu supports a whole lot of NES games like Super Mario World, A Link to the Past, ActRaiser1 ,F-Zero, Chrono Trigger, Pilotwings and many Genesis games like Sonic the Hedgehog 1-3, Ecco The Dolphin, Comix Zone, Gunstar Heroes and many more. While this serves to be the most popular emulator for Windows, it does a pretty good job emulating mac as well. It supports almost all of the SNES games and runs on almost every version of Mac like Sierra, El Captain, Yosemite etc. Supported systems besides the SNES include the Nintendo Entertainment System, GameBoy, GameBoy Advance, Sega Master System and Wonder Swan. Indeed, where BSNES really shines is its accuracy which is leagues beyond any other emulator out there. This has been the pro as well as a con of this emulation software. It necessitates a lot of system requirements and if you’re mac checks out on all the boxes, then BSNES is the best precise emulation you can even experience.It supports DSP1, DSP2, DSP3, DSP4, OBC1, SA1, SDD1, SPC7110, SRTC, ST010, and SuperFX custom chips. It is a compact software with just 1.3MB of memory. 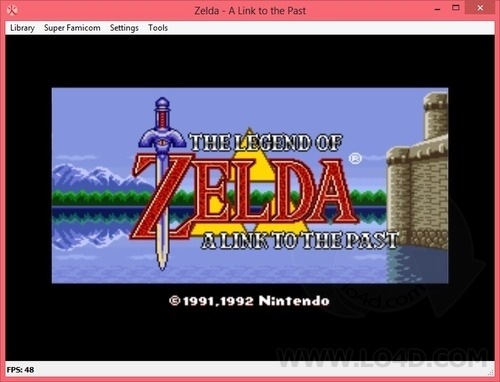 BSNES can run even without any joystick or controller with an enhancer plugin called the Emulator Enhancer that gives the following advantages. Snes9x is a portable, freeware Super Nintendo Entertainment System (SNES) emulator. It basically allows you to play most games designed for the SNES and Super Famicom Nintendo game systems on your PC which includes some real gems that were only ever released in Japan. If your mac isn’t fast enough for BSNES or doesn’t get through the minimum software requirements for other emulators, SNES9x maybe the right one for you. It not only offers better compatibility with games, it can run games on basic mac systems as well. SNES9x creates game saves and game configuration files using formats such as. srm, .dat, .oops, .zst, and .zs. SNES9x is capable of using ‘save states’ but these states are only compatible with SNES9x and not other SNES emulators. These are the best emulators out there for the iOS, tried, tested and guaranteed. In the rare case, you are not happy with any of these GBA game emulators, you can go on and try MobiOne which is very user-friendly as the name itself suggests. If you have always wanted to own an iPad , you will love iPadian, an emulator specific for iPad’s interface. Special mention to iOS simulator, which is technically not an emulator, but is good at what it does all the same. All the emulators mentioned in this paragraph are totally free of any cost. But that means a number of annoying ad popups on your screen. It’s a small price you can pay for this amazing technology called emulation. Hope you enjoyed the information given on the best GBA Game Emulators.